Excellence in promotional print production and project management; we support a program from concept to execution. From unique pins to augmented reality- let us help you move your products. 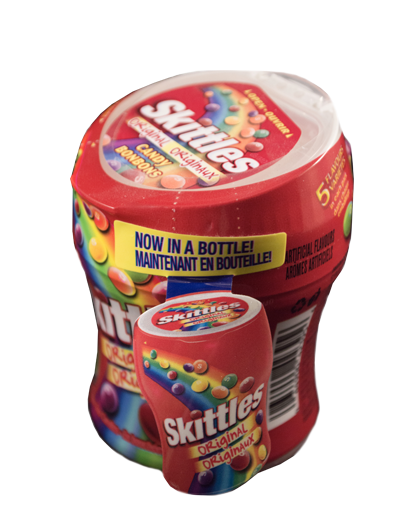 Stand out from the shelf, cross-promote and make the best use of your retail shelf. If you don’t see it, ask… custom solutions are what we do with your specific needs in mind. ASL Print FX has combined new and innovative printing technology with the imagination of designers and marketing agencies to break down the barriers of what you can print and what you can print on. Promotional print is your opportunity to speak to your audience by attracting their attention, keeping them interested and having them interact with your brand. At ASL Print FX, the possibilities are now open and limitless. 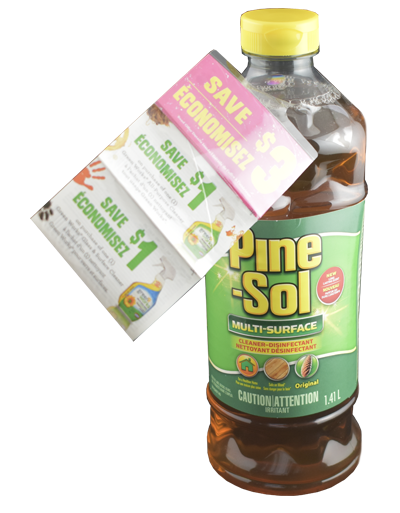 Onserts- Coupon booklets affix to your product. Augmented Reality- Take your package to another dimension. 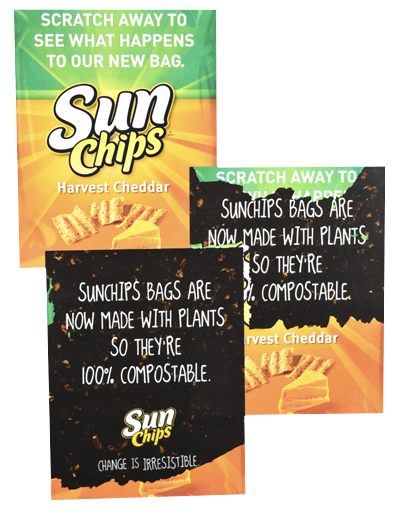 Hangtags- Promote your product on the shelf. Pin Numbers- Add a contest to gather data and push your product. Variable imaging- Cater to your customer’s individuality. Thanks to such superb collaboration, this is one of the best covers in Marketing’s 101 year history. The ASL team was asked to provide a solution to a promotional challenge for Mennen. With a tight delivery date, the team provided a turnkey solution for a sticker that met all the criteria. This was a complex die line with perforations and back splits that used an adhesive that was approved skin safe. This was achieved on time and on budget. Our experiences with the team are that they have a passion for complex challenges, and stretching technology that achieves unique offerings to retail. Clorox approached ASL looking for a solution that would allow them to have a hang-tag that wasn’t readily removed and didn’t cover any graphics. They wanted the hangtag to be a hi-value coupon book that applied to the shoulder. ASL worked with Clorox to determine the appropriate placement and a way to ensure security at the store level. ASL determined that it worked best around the neck of the product and affixed the book upside down for security. The technique ended up being used for multiple other applications. Does your company’s vision include special promotional features? Contact ASL to help bring it to shelf. 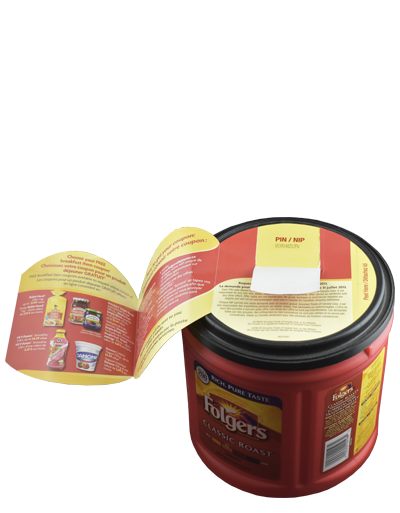 Folgers came to ASL looking for a way to affix a folding booklet to their product. This booklet needed to have a part that opened and exposed a PIN number and the customer didn’t want to use scratch off. 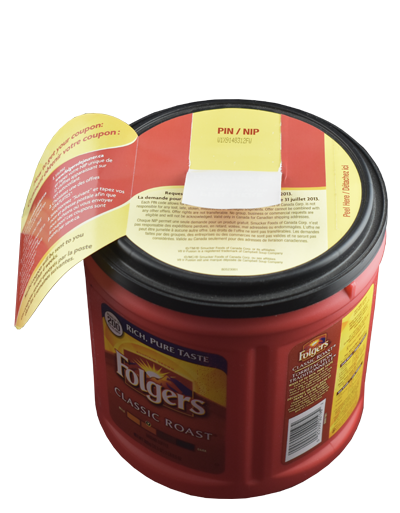 ASL worked with Folgers to determine the appropriate placement and a way to ensure security at the store level. ASL determined that the best approach was to apply the tag upside down and use a trapdoor with the PIN printed on the base. The customer was very happy with the execution and end result.